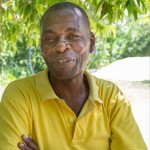 In 2012, Pure Water for the World was approached by community members in Trianon, Haiti urgently requesting help. Trianon is located in close proximity to the origin of cholera, introduced into the water after the 2010 earthquake. The need was high. Children were dying. Safe water would bring them much needed relief. With the community committed to taking ownership, and dedicated supporters spearheading grants, work in Trianon was initiated in 2014. Initial efforts provided 300 families with safe water in their homes and 76 schools with safe water and hygiene education, benefiting 1,922 family members and 15,321 students. We are committed to continuing our work in this region by reaching all 2,000 families with the safe water tools and education to live much healthier, more productive lives. There are many families committed, ready and waiting. 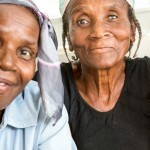 They have witnessed, first-hand, the life-saving impact of safe water, among their neighbors already served. They eagerly await the same relief. Follow-up monitoring, to ensure the cycles of waterborne illnesses are broken. Together, we can make the dream of safe water and good health a reality for the children and families in Trianon. Location: In the Plateau Central Department, on the outskirts of Mirebalais. Educate family members about waterborne diseases, hand washing and other hygiene practices. Train volunteer Community Agents as hygiene promoters. Install permanent biosand water filters in homes. Install permanent biosand water filters in schools and provide hygiene training to teachers and students. Follow-up with community agents and throughout the community regularly. 300 families have received safe water and hygiene training. 300 homes have biosand water filters. 1,922 family members have permanent access to safe water. 76 schools have received safe water and hygiene training, benefiting more than 15,000 students.